There remains a glitch in access to technologies such as home-based Internet and computer ownership in America that is centered on household income, education, and even age, according to the 2010 report produced by the U.S. Department of Commerce. The report suggests a strong correlation between access to Internet in the home and higher levels of educational attainment and income. The report further suggests that rural residents have less access than urbanites do, and racial minorities like African Americans, Hispanics, and Native Americans all have less access compared to their Caucasian and Asian American counterparts. Its important to note that lack of access is not the sole reason for not having home-based Internet. The U.S. Department of Commerce report cited that some reasons for families not subscribing to Internet service were a lack of interest (47 percent), lack of affordability (24 percent) and inadequate home computer equipment (15 percent). Despite the reasons, ethnic minorities and those of lower socioeconomic status get the short end of the digital stick. When it comes to preparing minority youth for college and the 21st-century workforce, the technology divide widens the social equity gap, which renders down to a not-so-bright future. 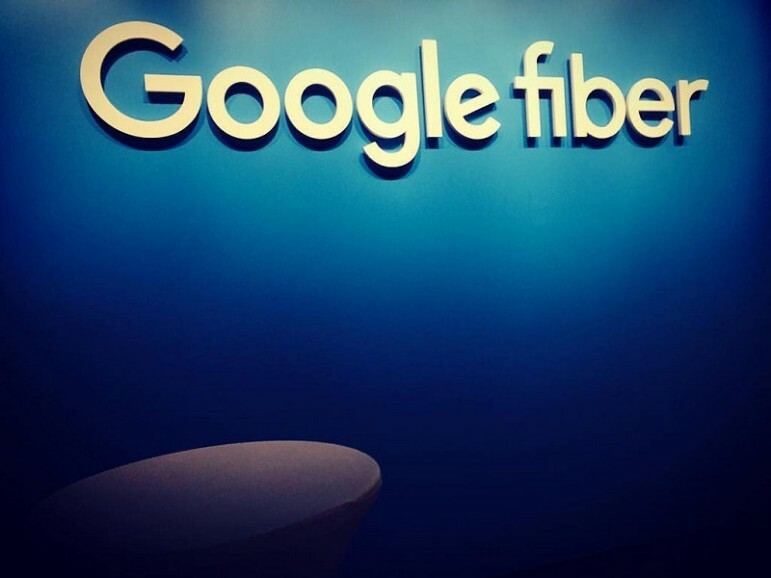 On Google Fiber’s official blog, Google acknowledged, “For low-income families, access to the Internet can mean the difference between thriving or falling behind.” Whether or not you believe this may be a bit of an overstatement, it is certainly a critical support. Last year, in partnership with ConnectHome, the U.S Department of Housing and Urban Development (HUD) initiative, Google committed to provide public housing units with Google Fiber for free home Internet access. This week, Google made good on that commitment by equipping a 100-unit housing project within the Housing Authority of Kansas City with a Google Fiber connection. The end goal is for Google to provide service to 1,300 households in that area and steadily expand into other subsidized housing partnering markets. Despite Google Fiber’s efforts and similar ones, only as few as one in five households own a computer and have home-based Internet. For local nonprofits in the Kansas City area, access to Internet in the home can mean strengthening community and empowering of the underserved. Accordingly, the social sector is proving instrumental to closing the digital divide. Local Kansas City nonprofit organization Connecting for Good provides free access to the Internet, public access to computers, computer literacy courses, and other tech-related resources to inner-city residents who would not otherwise have access. Another local Kansas City nonprofit organization, The Surplus Exchange, launched an initiative, ConnectHomeKC, with a goal to put a computer with broadband access in the home of every public housing resident in Kansas City. What do the National Rural Education Association, the American Pain Relief Institute, and Microsoft have in common? A new advocacy coalition called Connect Americans Now.